In an effort to expand their mobile platform, Microsoft will soon release a fully-operational Windows 10 ROM for Android smartphone users to upload and enjoy. They also plan to extend their free Windows 10 upgrade to hundreds of millions of customers that are running Windows 7, Windows 8.1 and Windows Phone 8.1 for the first year after its release. 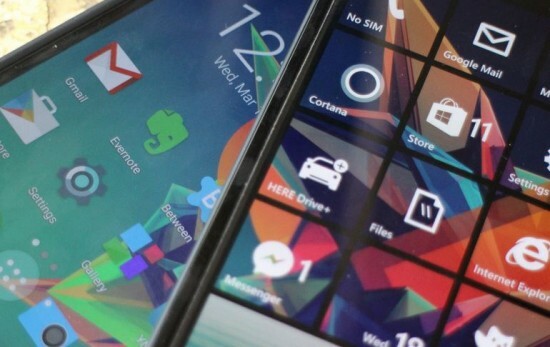 Microsoft has partnered up with Xiaomi, one of the top Android smartphone distributors in the world, and offered Xiaomi Mi 4 power users the opportunity to help download and use Windows 10 for phones to contribute to its future release later this year, and there are rumors that the company may also release the software for ZTE’s Nubia 9. Microsoft is moving toward a platform agnostic approach in order to appeal to users across the myriad of available devices-much like how Ayoka provides custom software development services that are vendor neutral, and platform independent. At Ayoka, platforms for native or web application development are implemented based on our customer’s business interests and goals. Building cross-platform compatible solutions that can run on any Operating System (OS) will ensure that your end users can easily access your company’s application. We examine open source alternatives to lower your cost of ownership while offering scalability to accommodate growth and facilitate emerging technologies. With Microsoft pushing Windows 10 to smartphones that were once locked down with their uploaded OS will come the tailoring and porting of the new Windows OS to other devices. The end result is freedom of choice by consumers who will benefit from this competition and be able to enjoy powerful, rich applications that can finally take full advantage of the resources on their handheld devices. Ayoka is bringing these and other process-optimizing solutions, working with innovative businesses who wish to take their application to the next level of accessibility and productivity.